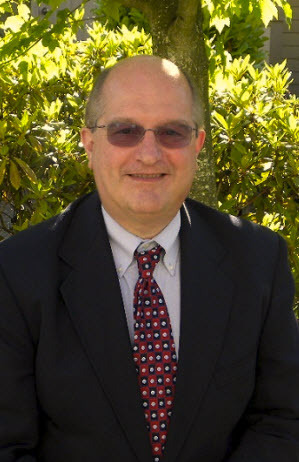 Mark F. Lins is a Washington Licensed Mental Health Counselor since 2002 (LH 00007725). Mark completed his Bachelor of Arts degrees in psychology and theology at St. Francis de Sales College in Milwaukee, Wisconsin in 1977. He received a Masters in Divinity degree at St. Francis Seminary in Milwaukee in 1981. He furthered his education with a Masters degree in Counseling and Guidance, specializing in Marriage and Family Therapy, at the University of Wisconsin at Whitewater, WI in 1985. He continues to be licensed in Wisconsin since 1985 and also attained his National Board for Certified Counselor status in 1991. This is a specialized certification for counseling and involves three years of testing and certification and yearly education requirements to retain this status. In Wisconsin, he began practice by being a child and family therapist with Children’s Service Society in Janesville, WI. He then gained inpatient experience through Parkway Hospital in Madison, Wisconsin and also supervised the Janesville outpatient treatment center. He began administration and supervision in mental health and alcohol and other drug services in Mercy Hospital and then began the program at Beloit Memorial Hospital where it continues to this day. While living and practicing in Wisconsin, Mark completed another supervised internship in Western Washington and decided that when possible, he would leave the harsh winters for the mild temperatures and beauty in Washington. He managed a dialysis facility in Kent, Washington and then was the manager and supervisor for Group Health Behavioral Health in Tacoma. Mark’s first love has always been in practice with family and individual counseling. After managing, he decided to enter into private practice with The Family Center for Behavioral Health. Mark provides individual, couples, family and group psychotherapy services to people with a variety of mental and emotional difficulties including depression, anxiety, attention deficit, multiple personality, anti-social and other personality issues. Mark also enjoys working with children and adolescents that are having academic or emotional difficulties, abuse and neglect or oppositional behaviors. Mark has experience working with children, adolescents, and adults from different backgrounds, cultures, and unique circumstances. Theoretical approaches include family systems theory, cognitive behavioral therapy and structured behavioral modification. He enjoys making the theory fit the individual, as all individuals come with a variety of backgrounds and differing needs. His experience allows for completion of goals in a timely fashion.